The end of 2018 called for reflection, resolutions, celebration and—of course—a little wardrobe refreshing. It was a big year for fashion last year: Animal-print everything made a comeback, the straw bag replaced all your other bags, and dressing like your dad became cool. 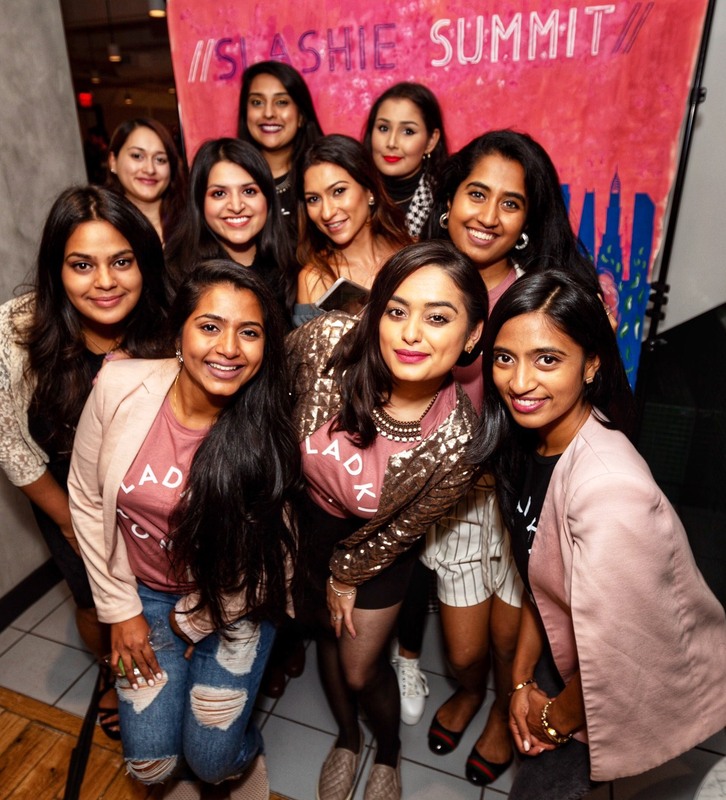 A lot of these styles we can plan on wearing well into this new year but let’s break it down and take a look at the spring styles that are going to be popular in the spring of 2019. While curating your spring wardrobe, it’s important to take a look at the latest runway collections to uncover what trends are worth testing out—this can be overwhelming since there are so many designers putting out new clothing and how do you know which trends are worth it? Well, here’s the good news! I’ve gone ahead and done all the dirty work for you and identified the seven key trends for next season below. Feel free to use this as a checklist of all the different spring styles you should try out. Want to try them all upfront at the top of the season? Go for it and live your life! It’s 2019—it’s time to damage our wallets in the name of fashion! Who’s with me? With the movement towards animal print last fall—like leopard, zebra, tiger and even crocodile—the snakeskin is a natural evolution. 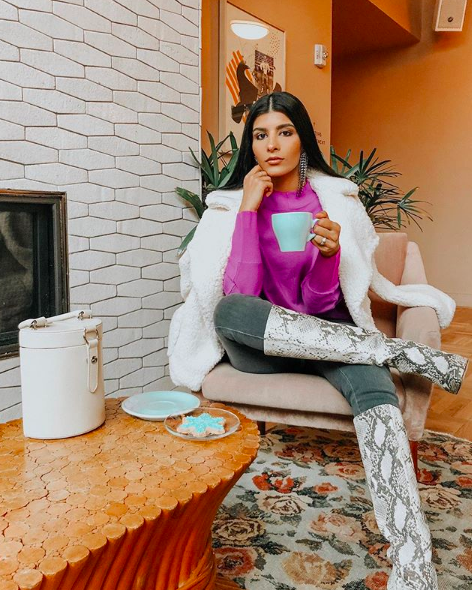 Some classic looks around the snakeskin hype include: a snakeskin print bodysuit tucked into distressed jeans, a snakeskin miniskirt paired with a tucked in knit top, or lastly—my personal favorite—accent any outfit you have with a pair of snakeskin boots. In general, snakeskin adds so much detail to a look and makes a great overall statement—the best way to get your print to stand out is to wear all black and let the print shine on it’s on. Crochet is the must-have textile that your spring 2019 wardrobe needs. Crochet clothes hit the high-fashion scene in September during New York Fashion Week. Just to be clear, no, I’m not talking about your grandma’s knit pieces—from proactive weaves to knitted pullovers, crochet pieces that exceed a bohemian hippie vibe is what you should be searching for! Some of my favorite crochet pieces include crochet booties, swimsuits with a hint of crochet and crochet two-piece outfits. 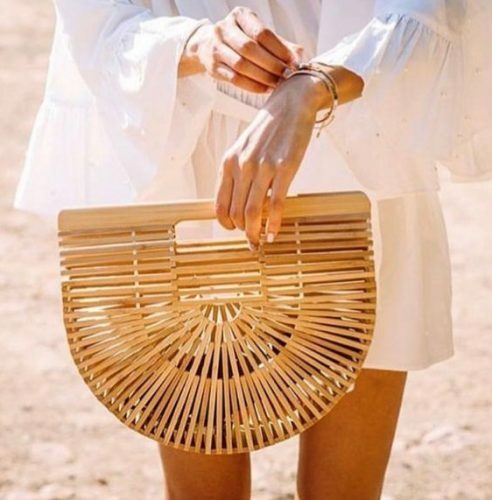 Whether you call it a bamboo bag, a wooden bag or a basket bag, basically every blogger on Instagram has been spotted wearing one of these cute purses, which means you must add it to your list of spring essentials. 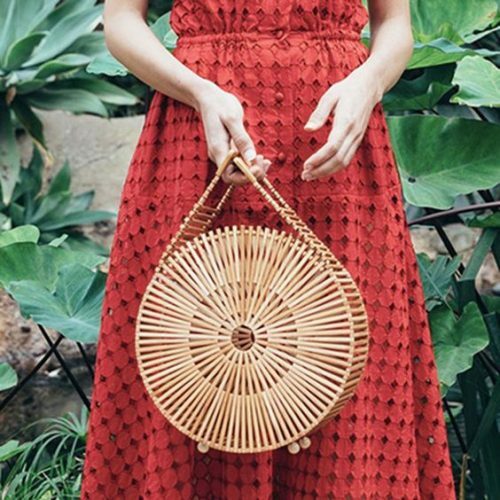 Meet the new fashion-girl bag with a cult following: the Japanese-style bamboo bag. While the infamous bag originated from Cult Gaia, here are other versions of the bag that I’ve found online that still give that wooden classy feel. Biker-short lookalikes infiltrated every single major fashion week show around the world, which means come spring time, we can all expect to be snapping on a pair. We first saw this style on Kim Kardashian but biker shorts got the ultimate endorsement from Karl Lagerfeld—the official Chanel seal of approval—during NYFW. The most popular cycling short combo is the blazer duo. Check out some of my favorite biker shorts combos below. Suiting is perhaps not the newest idea for spring 2019, but it’s a trend nonetheless. This season, at just above every major show, there was a suit in a neutral that almost acted as a palette cleanser. I’m not talking about your average pantsuit—many designers revamped their basic pantsuit sets and teemed blazers with matching shorts. The new suiting can be styled in a variety of ways when it comes to footwear, including lace-up sandals and pumps. This will be the spring/summer uniform for all fashion girls with a business twist. When belt bags started to pop up in the fashion world, I was a bit hesitant. Who wants to wear a fanny pack? Then spring 2018 happened and the trend infiltrated every corner of the fashion world (and it’s still going strong). 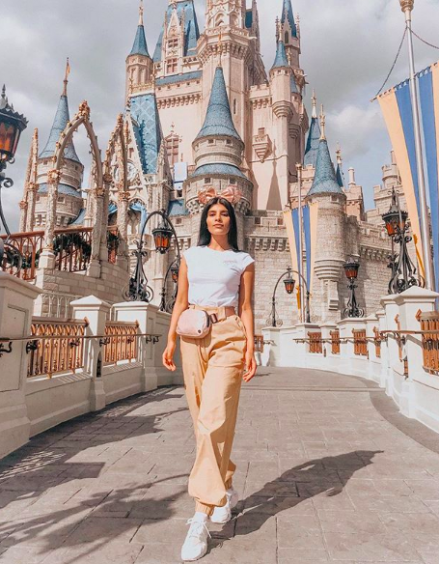 Influencers around the globe have been wearing these iconic bags around their waist and across their body. While we can’t all afford Gucci or Burberry belt bags, there are many affordable favorites available online. Whether in the form of a jacket or an accent on the shoulder of your shirt, feathers are a fun and whimsical sign of luxury. Many designers like Marc Jacobs and Gucci showcased hints of feather on their pieces during fashion week. 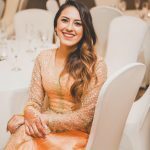 This can be a risky trend because you don’t want to end up looking like a bird, but some of my favorite “hint of feather” pieces include feather sandals, feather tops, and the feather skirt or lengha (which is a little more on the riskier side). Hopefully, this helps you spice up the spring styles in your closet! For more posts on fashion, lifestyle, beauty, and travel, visit nehaltenany.com. Feel free to tag me in your spring looks on Instagram and let me know what worked for you and what didn’t! Previous articleMeet the South Asian Whiskey Trailblazer. She’s the First of Her Kind.